Make yourself at home in one of the 14 air-conditioned rooms featuring kitchens. Rooms have private furnished balconies or patios. Wired and wireless Internet access is complimentary, and flat-screen televisions with satellite programming provide entertainment. Conveniences include desks, and housekeeping is provided once per stay. 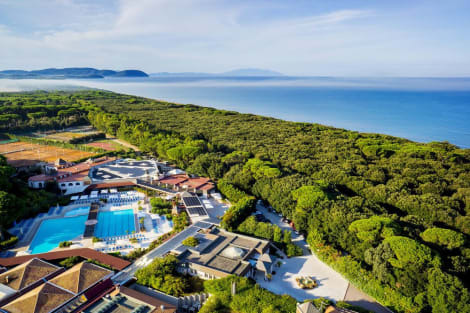 With a stay at Life Resort Garden Toscana in San Vincenzo, you'll be close to Dog Beach San Vincenzo and Rimigliano Coastal Park. This beach hotel is within the vicinity of Marina di San Vincenzo and Calidario Terme Etrusche.